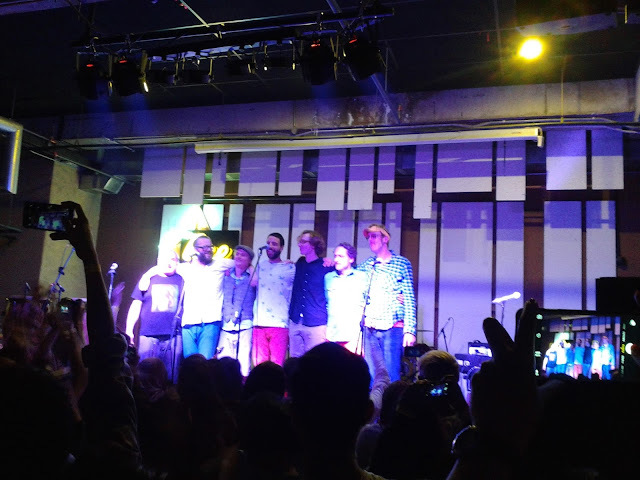 It was Erlend Øye's third time performing here but it was my first time to see him live. Prior to this, he was here with his other bands, acoustic duo The King of Convenience and electronic The Whitest Boy Alive. This time, he brought us some reggae pop vibe with his band, The Rainbows, courtesy of his new album, Legao. He has recorded the album, his second solo effort in Reykjavik with Icelandic reggae group, Hjálmar, hence the reggae vibe. During encore, he sang a song from King of Convenience but I can't remember the name. I was more interested in La Prima Estate, the song that I most looked forward to and the reason I came to the gig - to hear it live! It's in Italian and has 60s pop tune vibe which made me think of sunshine, summer and Italy of course.